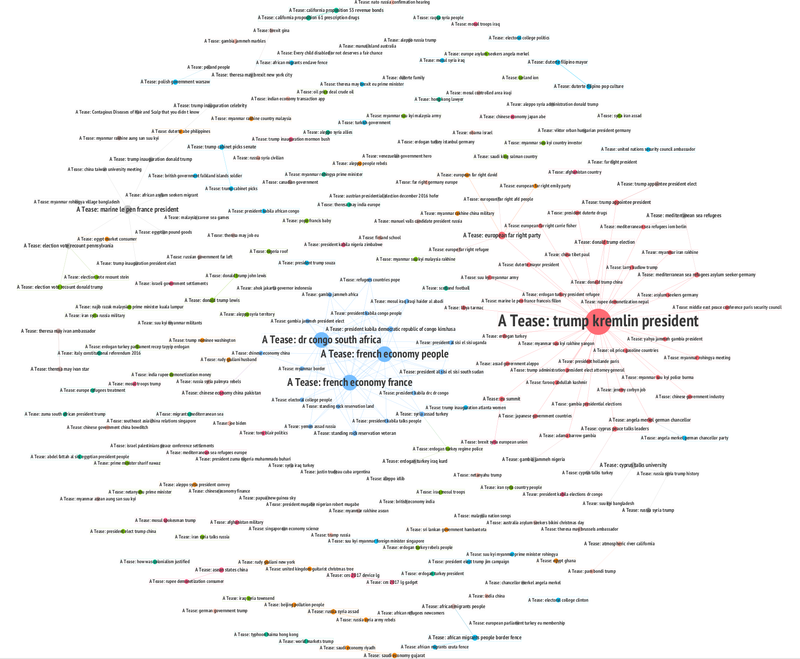 One of the results of my recent post-election “news ecosystem” effort was the presence of YouTube. 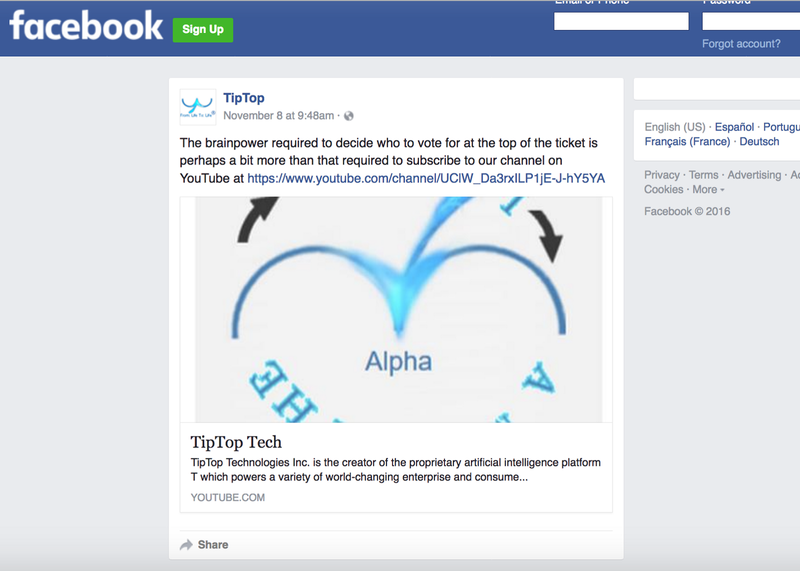 Beyond YouTube’s role in hosting videos through embeds on political websites, after reading a piece on A.I. and YouTube by Guillaume Chaslot, I thought I’d look more into why it increasingly feels YouTube, like Google, is being harnessed as a powerful agenda booster for certain political voices. Does YouTube’s A.I. favor Trump and fake news? 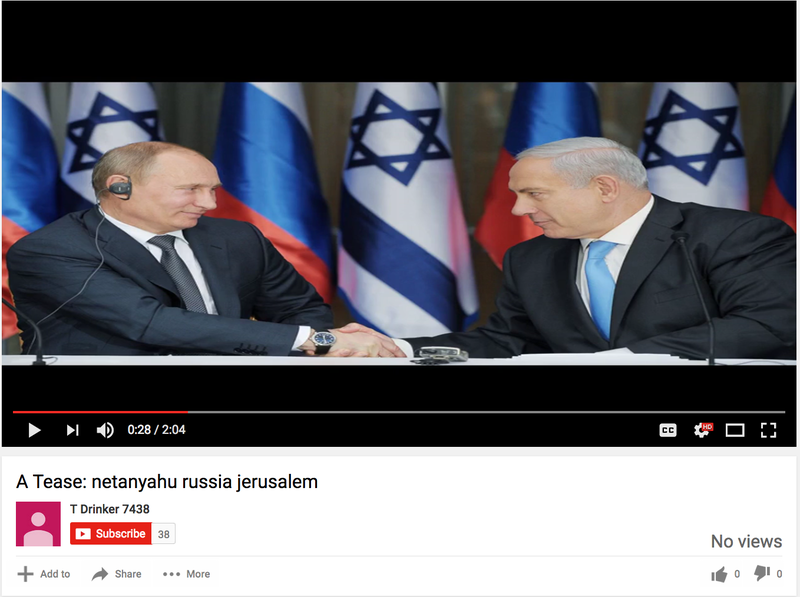 Is this the YouTube “fake news” jackpot? Seeing the playlist, and noting the “generated with AI” description, I was curious about the scale of this “auto-generated” news on Youtube. 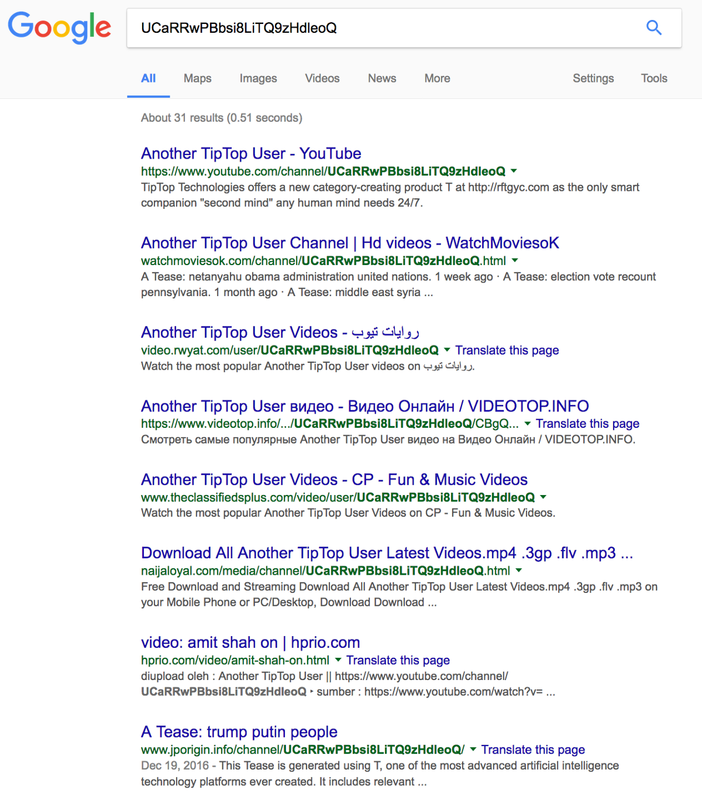 Through a video title-focused API search query, I found 6,902 more “A Tease…” YouTube videos. 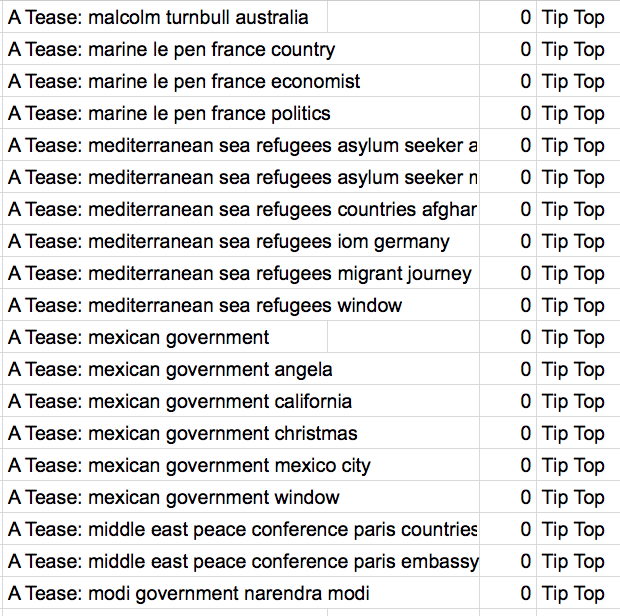 In the first search round, I found 19 YouTube channels containing videos titled “A Tease….” The IDs and names of each of these channels are listed below. 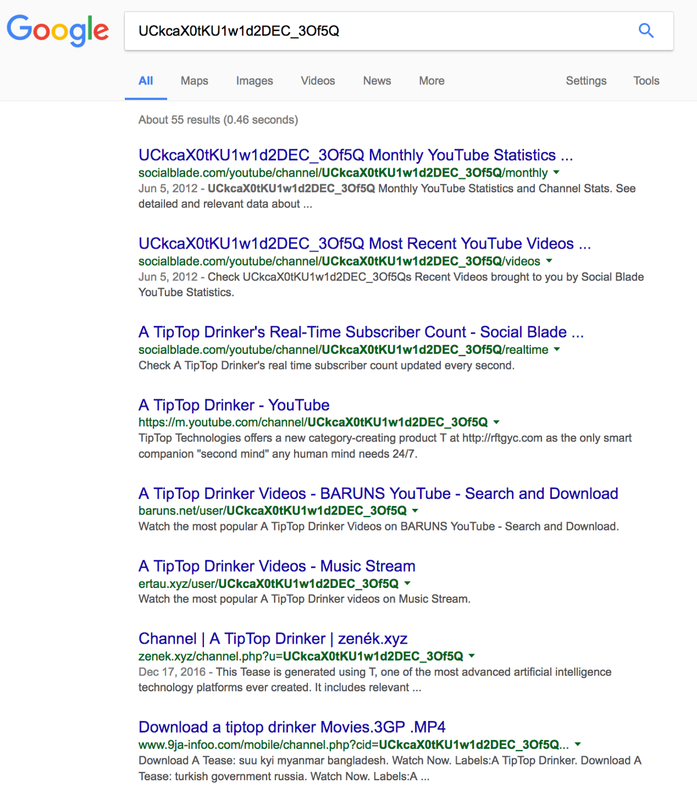 The channel names include: TipTopBest, A T User, Tip Top, T Drinker 2465, Tiptop Insights, Another T Drinker, Another TipTop User, T Drinker 7438, T Drinker 46895, T Drinker 865110, TipTop T, A TipTop Drinker, T Drinker 6593, T Drinker 743339, T Drinker 176, T Drinker 247, and three “non-T” channels: [Chinese], CNN BRK, and Trump VS Putin. 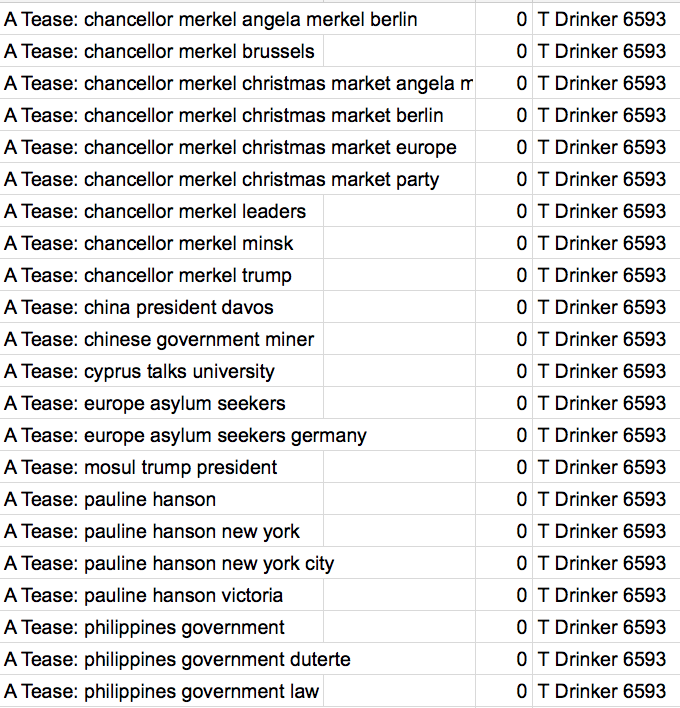 Through a network analysis and channel detail API request, I found the 19 YouTube channels account for 78,349 similarly named, keyword-packed “A Tease…” videos. As you can see in the list above, this is what amounts to a large-scale “fake news” video content farm. 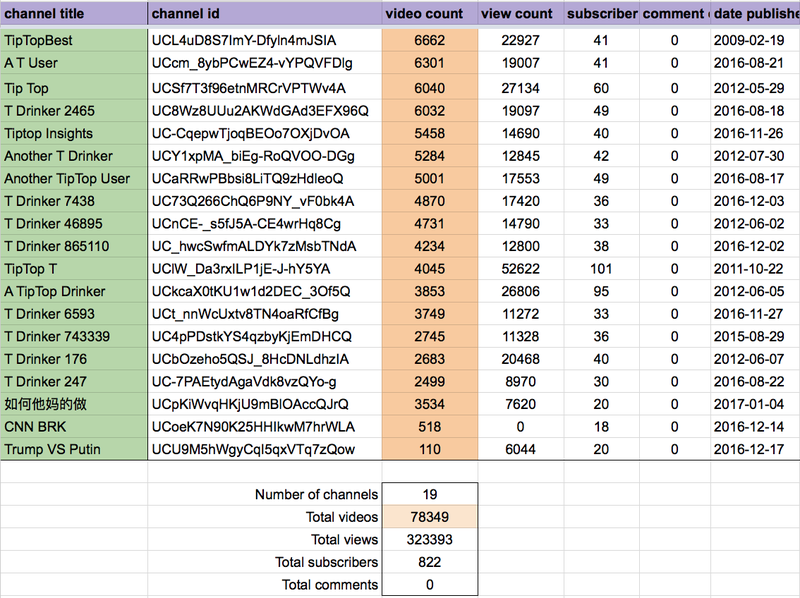 YouTube is a big place, but ~80,000 videos is a large number by any measure. Especially given that it’s only 19 channels. Each “T” AI-generated video consists of a progressive “slideshow” of still images related to the title of the video, which originate from various websites, Wordpress blogs, and content delivery networks across the internet. It’s notable that the last frame of these “Tease” videos seem to have a “copyright” disclaimer. Some of the “T” channels — like the example above — list the source URLs for the images and spoken text underneath the video’s “…More” section. 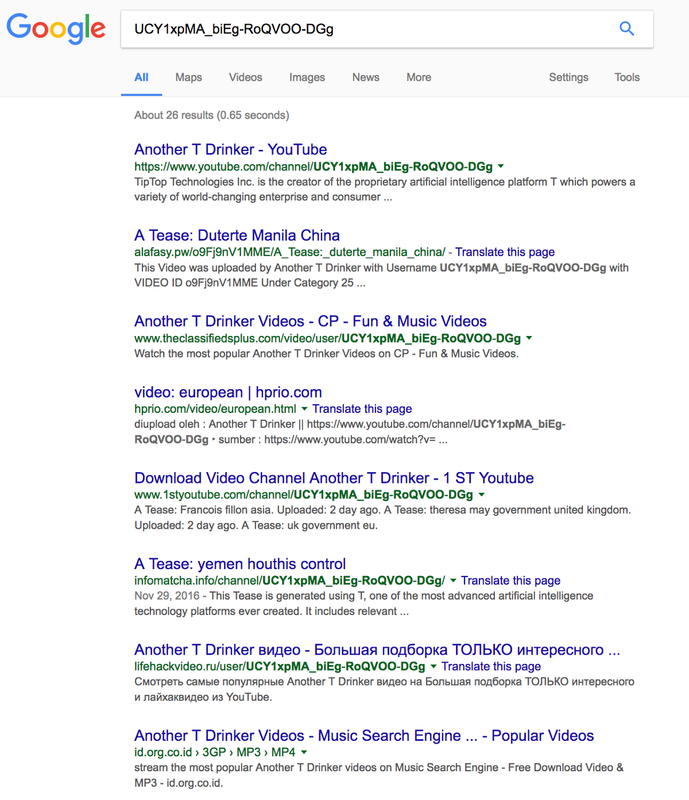 At the same time, many videos do not seem to contain a source list. 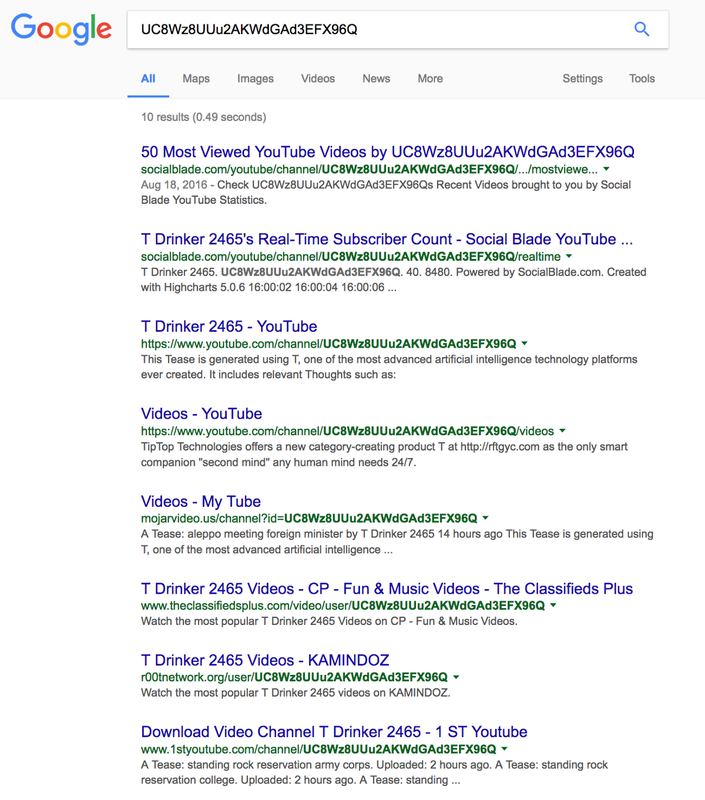 I’m not sure this kind of data is readily available through YouTube’s API, but I can say it would be difficult to go to nearly 80,000 videos and manually check for lists of sources. 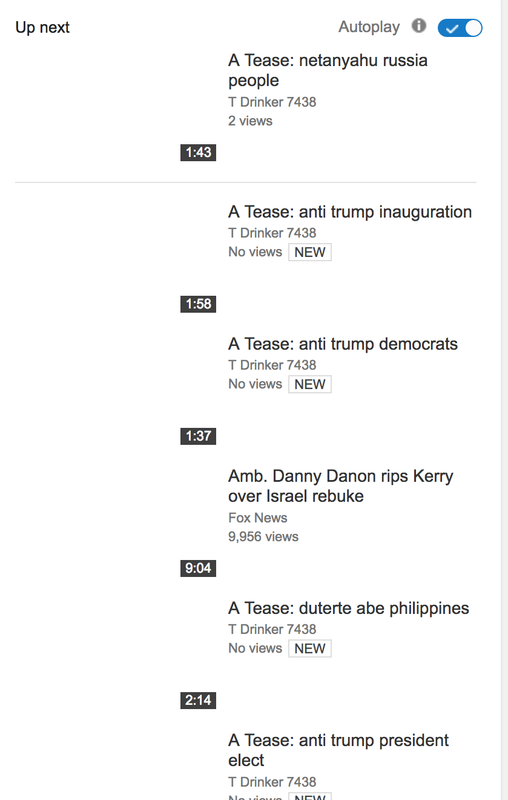 Everything about these “A Tease…” videos suggests SEO, social politcs amplification, and YouTube AI-playlist placement: In addition to the video titles being keyword-packed and URLs pasted all over the video descriptions, the spoken text that’s already published on news sites should help to boost the overall relevance of these videos and any associated news-related “channels” on YouTube. Given the large number of these AI-generated YouTube videos, I thought it might be interesting to see the time between uploads. It appears some of these “A Tease…” channels (see “A T User” example below) post new “news” videos every three to four minutes. Out of the 19 channels that were returned in my initial search, three were different from the 16 “T” branded ones. 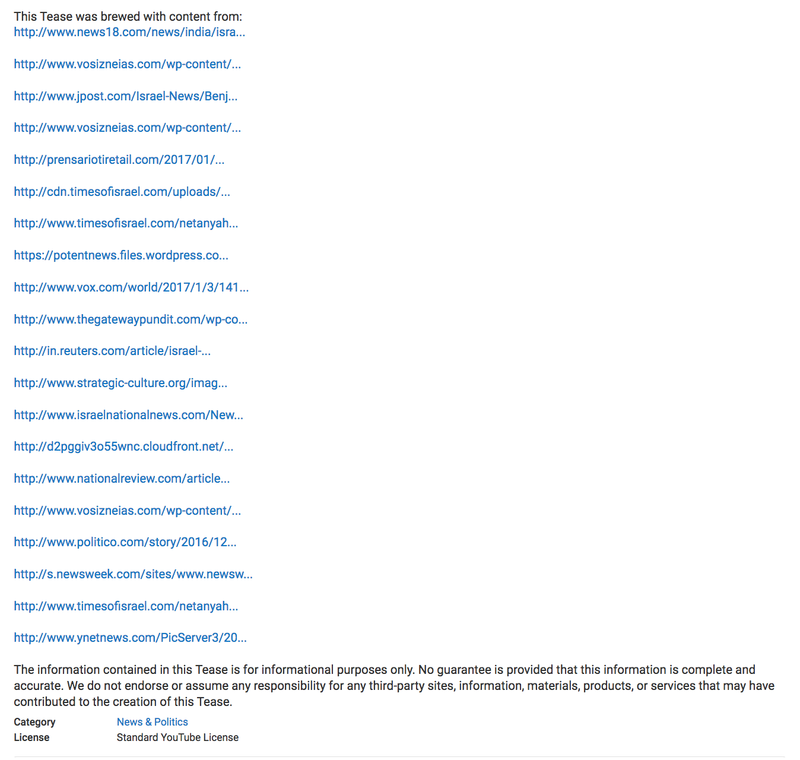 These channels had very few “A Tease…” videos, but appeared to be part of a larger political video news network. 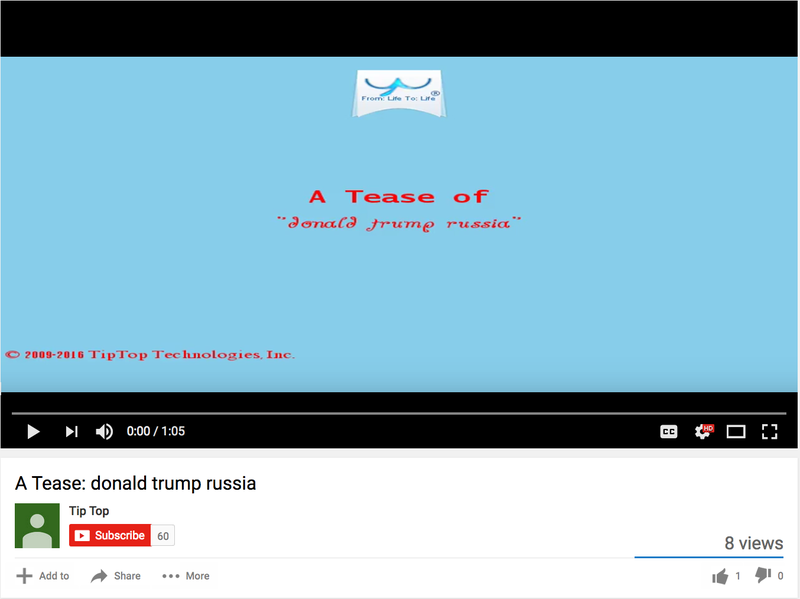 One small Youtube channel named “Trump Vs Putin” (see below), had mostly pro-Trump and “right-wing” titled videos, but also listed several suggesting the videos could be critical and/or pushing specific a political agenda towards Trump. FakeTube is here, and AI-generated videos are probably being made faster than they can be identified. What makes this finding unsettling is that YouTube hasn’t seemed to do anything about this operation. These accounts are prolific, and related ones are being created every few days. Two minute videos aren’t 140-character tweets, so 75,000+ uploads is a lot of chances to draw YouTube’s attention. Especially since I’ve heard about content creators getting into disputes with the company based on its policies related to “keywords” in titles, the use of links on channels, and policies related to copyright. 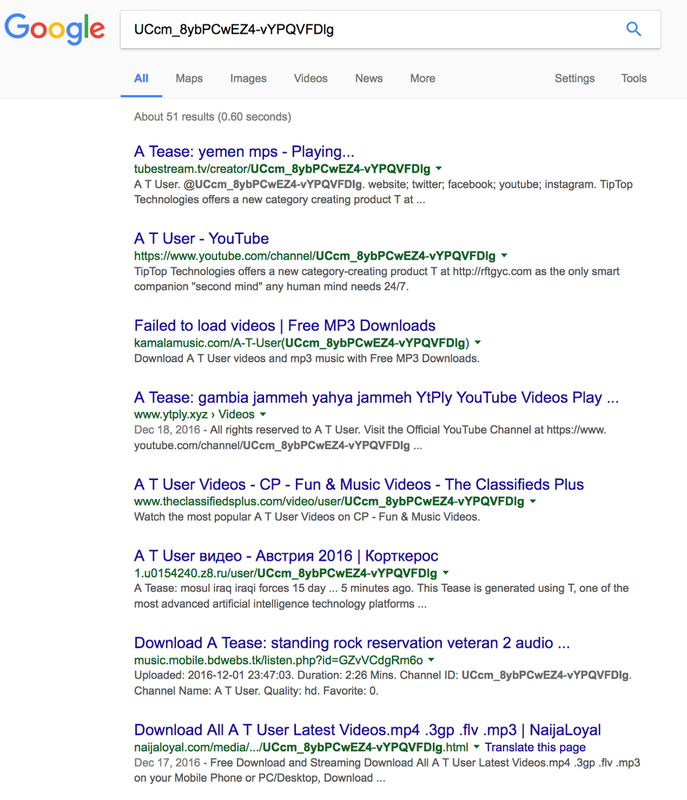 How can YouTube not be aware of nearly 80,000 spammy and readily identifiable keyword-packed videos from this network of closely connected “A Tease…” accounts? Well, I can’t quite understand how YouTube couldn’t know about this operation. Maybe AI-generated video is a new kind of “remixing” — like music (audio) sampling, so it can’t be realisitically enforced? At the same time, current affairs and global politics are not readily comparable to capturing a couple of seconds from another artist’s song; YouTube has clear usage policies and a TOS. 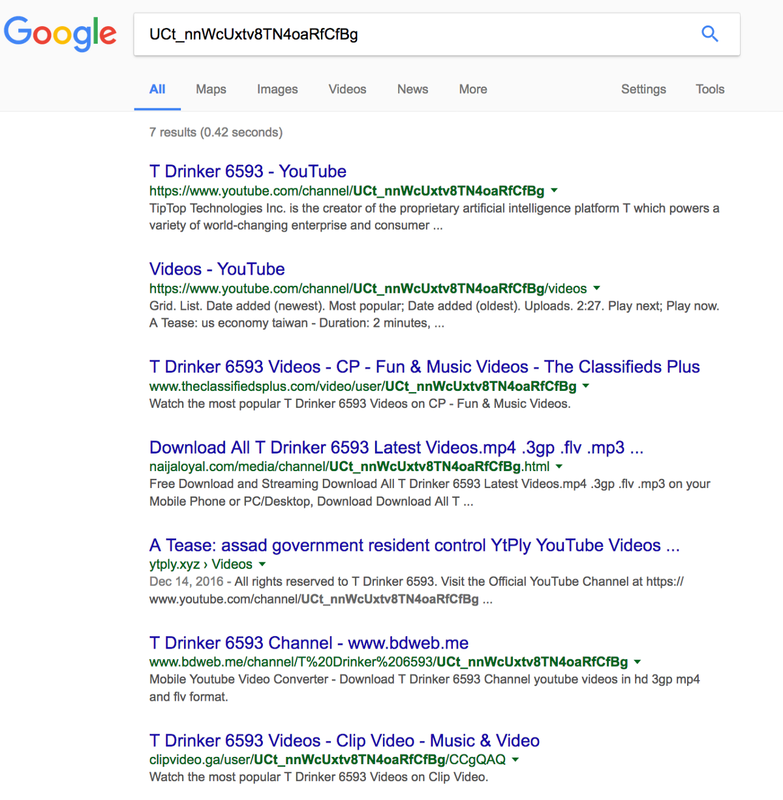 Related to this idea, it’s odd that YouTube’s advanced copyright detection can instantly “tag” obscure songs when you upload videos, and its auto-captioning algorithm can provide “text-on-demand,” but the service can’t yet flag audio read directly from the text of major news stories, or block images that have been pulled from elsewhere on the internet. 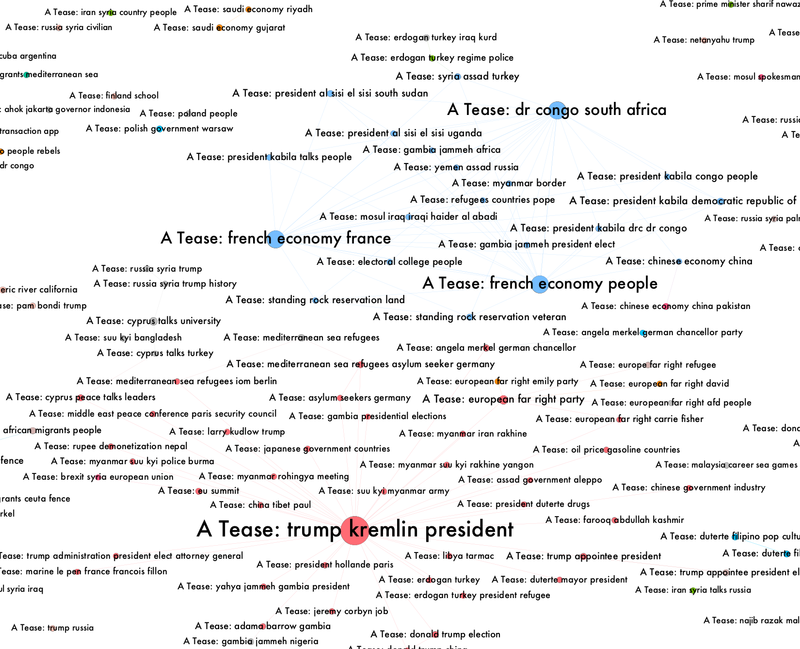 Some of the AI-generated “A Tease…” YouTube videos contain the entire spoken text transcript, which are essentially sentences from the sourced news articles, which may further boost the video’s SEO and again increase the chances that it could be flagged on YouTube. It’s a little worrisome that YouTube either isn’t aware of this huge “fake news” AI-generated video operation, or they’ve just chosen not to do anything about it. I feel this content machine is yet another factor that amplifies the “fake news” problem. 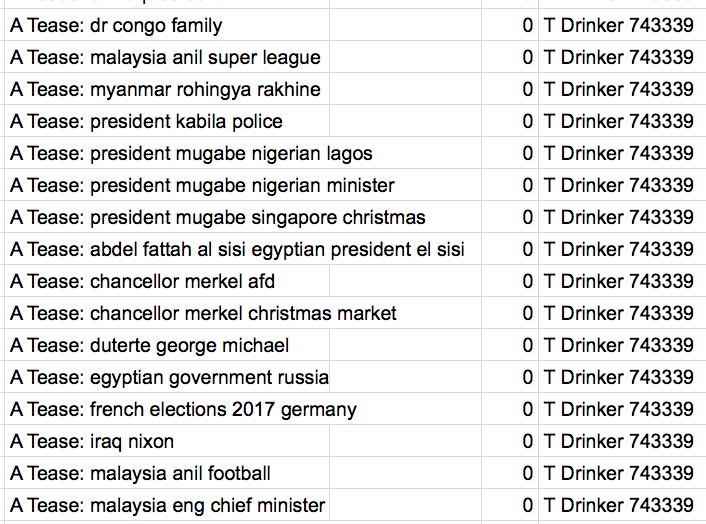 To keep this project’s open data in motion, here’s the first round of data from these AI-generated YouTube channels. 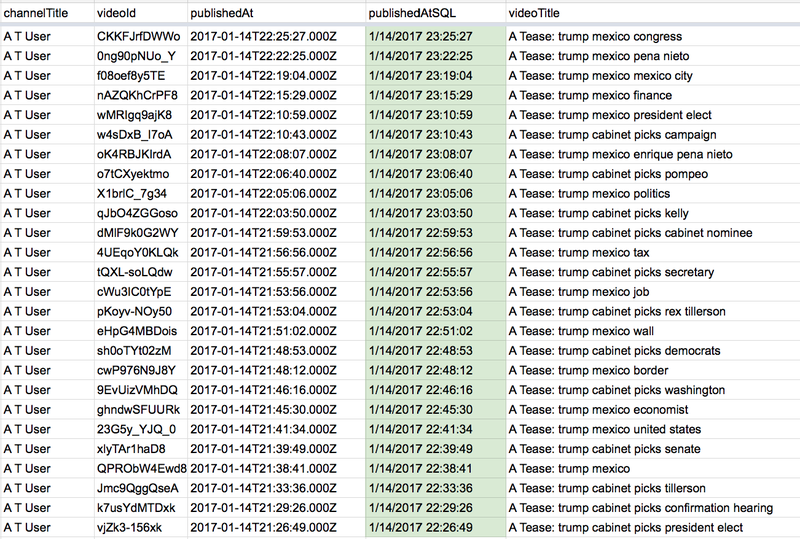 This file contains the 6,902 “A Tease…” videos identified in a title search API query for “A Tease: …” And below is the larger dataset with the videos from the channels, if anyone’s interested in doing a more detailed analysis.